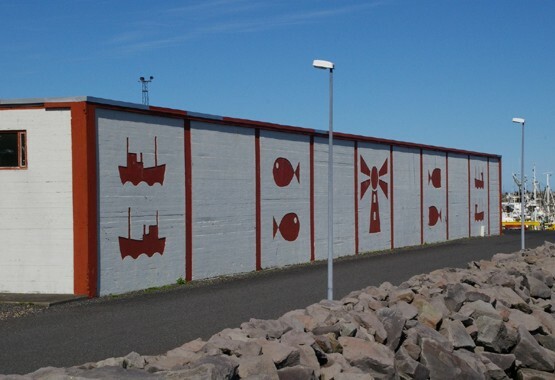 View from the harbour. Nice low clouds on the other side of the mountain. Where we did our "technical stuff". 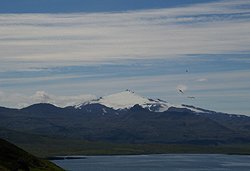 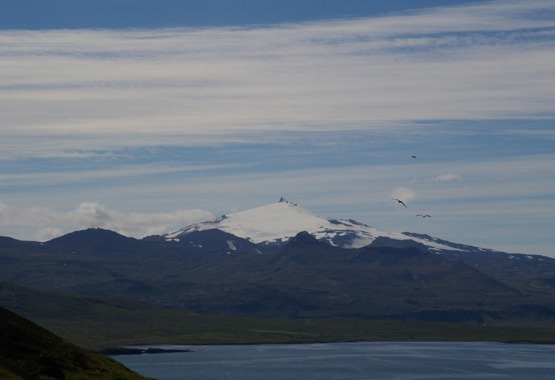 Further down the road, we stop by for a view of the Snaefellsjökull (glacier). 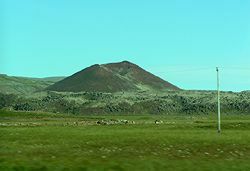 The mountain is an active volcano, and it's been made most famous by Jules Verne's Journey to the Centre of the Earth - this is where the "journey" starts. This whole area is full of craters, and we drive past many - like this one, photographed from the window of our minibus. 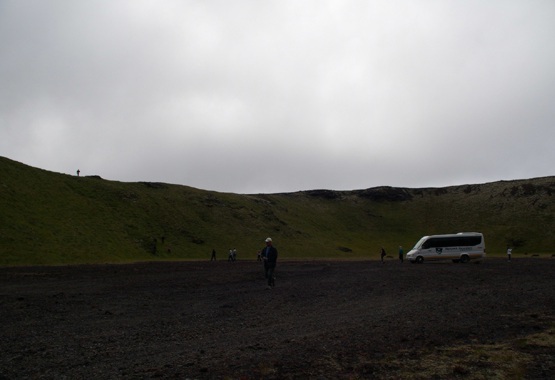 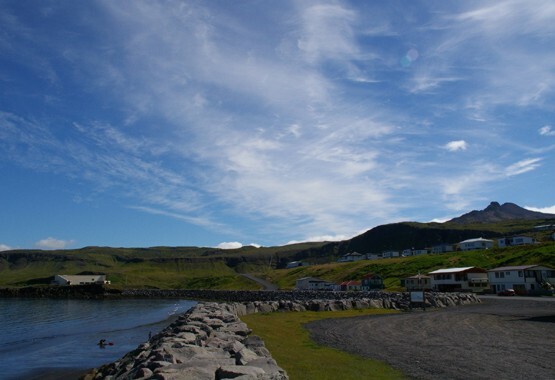 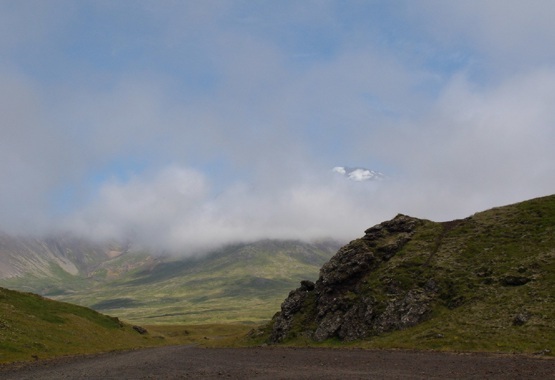 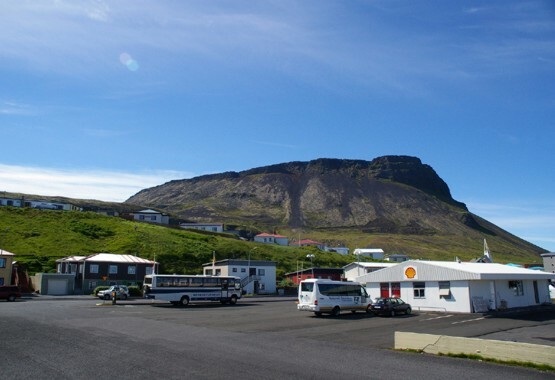 But then our driver takes us to another attraction in the area - a crater that's broken/open at one end, so that you can drive straight inside it, called Hóla-hólar. 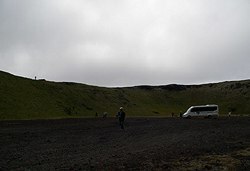 Here we are, inside the crater. 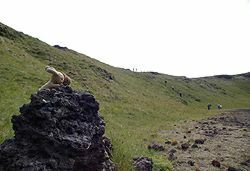 The "entrance" to the crater. 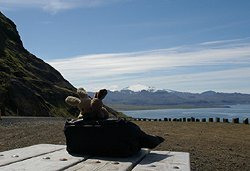 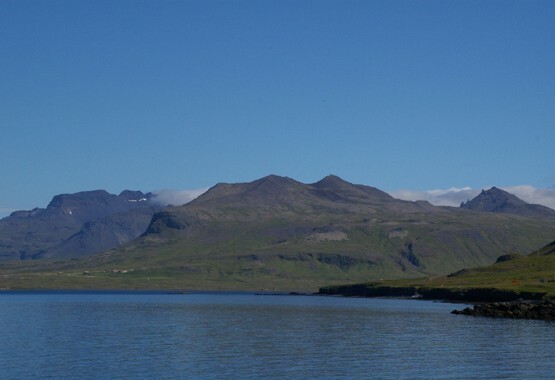 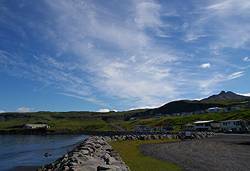 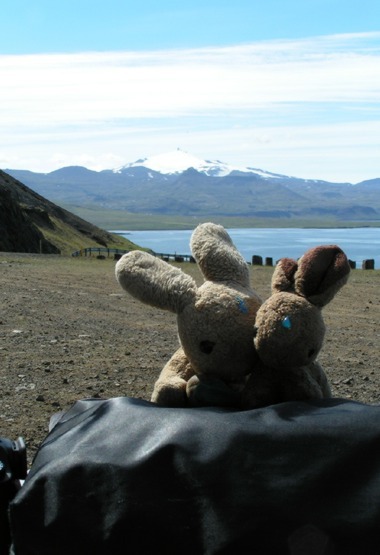 You can just about see the tip of Snaefellsjökull in the background. 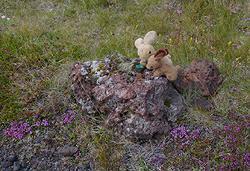 There are lots of these lava rocks all over the region. Some have turned nice colours.